Alex Edler's overtime goal gave the host Vancouver Canucks a comeback 3-2 victory over the visiting Toronto Maple Leafs on Wednesday night. Edler put in a shot from left wing, capping Vancouver's comeback from a 2-0 second-period deficit. Loui Eriksson and Josh Leivo also tallied for the Canucks, while rookie center Adam Gaudette furnished two assists. Ron Hainsey and Morgan Rielly scored for the Leafs. Vancouver goaltender Jacob Markstrom stopped 28 of 30 shots for his career-high 24th win of the season. Toronto netminder Frederik Anderson recorded 28 saves on 31 shots. The game started an hour earlier than usual to accommodate a large television audience in eastern Canada. Many fans came dressed in Maple Leafs colors. Some Toronto supporters drew the ire of Canucks faithful by chanting "Go, Leafs, go!" During a moment of silence for late NHL legend Ted Lindsay. The chants continued moments after the opening face-off. 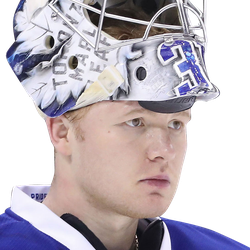 The Canucks unleashed 15 shots in the first period but could not beat Andersen. The Leafs could not beat Markstrom, either, as they put eight shots on the Vancouver net. Hainsey opened the scoring on a short-handed marker at 12:28 of the second period. The defenseman moved up into the rush on a two-on-one with Mitch Marner and converted Marner's pass. Canucks rearguard Troy Stecher did everything he could to try and prevent a pass, sweeping his stick and sprawling. 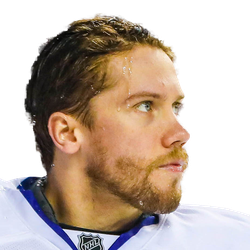 "(Marner) made a great play," Hainsey told Sportsnet. "He makes a lot of those. He certainly did there." Another defenseman, Rielly -- also a Vancouver-area native -- doubled Toronto's lead only 34 seconds later as he moved in from the blue line and one-timed John Tavares' pass underneath Markstrom's blocker. Eriksson put the Canucks on the scoreboard only 2:21 into the third period he picked the top right corner of the net on a backhand after taking a pass from Gaudette. Luke Schenn, once a highly touted Leafs prospect, earned the second assist on the goal. The goal ended a 17-game scoreless drought for Eriksson, who earns $6 million per season. Leivo, playing the first game against his former Leafs team since a December trade, created a 2-2 tie on a power play just under two minutes later as he put in a shot low to Andersen's stick side. The Canucks only had four shots in the middle frame.